Search the newest Elbow Valley homes for sale below. Elbow Valley is a pristine rural community located just outside Calgary's city limits, in Rocky View County. Buyers will find spacious luxury homes, beautiful bungalows, and large lots for sale in the Elbow Valley real estate market. For further information about properties for sale in Elbow Valley or to schedule a private showing, connect with your Elbow Valley real estate team today! Thinking about the purchase of a home in Elbow Valley? Contact Justin Havre at RE/MAX First, your neighbourhood real estate agents, for comprehensive help in the housing market near Elbow Valley AB. Call us at 403.217.0003 today! 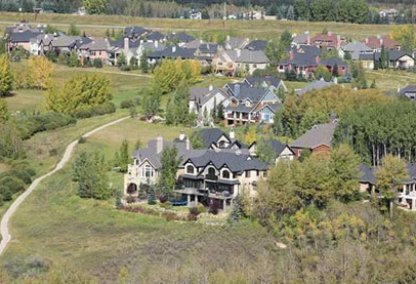 A unique community dedicated to preserving the natural environment, Elbow Valley has been named "Community of the Year" by the Canadian Home Builders' Association, and the Calgary Home Builders' Association. Development of this community is carefully controlled to ensure that the natural splendor of the area is maintained for future residents. Elbow Valley property sits atop approximately 1,000 acres — 600 of which is commonly-owned, and remains as beautiful, untouched land. Elbow Valley homes have been constructed to complement the landscape, and are set upon roomy lots. Buyers looking for lakefront property will find homes that back onto Elbow Valley Lake, and feature private docks. Houses in Elbow Valley offer views of the mountains, rolling hills, and wildlife-filled woodlands. There are plenty of trees, as well as native plants and shrubbery. For outdoor recreation, residents can swim or canoe at one of several private lakes, including Elbow Valley Lake, Clearwater Lake, and Fisherman's Lake — which is stocked with trout. Residents enjoy visiting Lott Creek, as well as the Glencoe Club Golf Course, and the Elbow Springs Golf Course. There are community parks, complete with picnic areas and playgrounds. Walking trails connect each of these parks with the various regions of Elbow Valley. The Residents' Club is a great space for meetings and workshops, and maintains tennis courts and a playground. For shopping needs, Westhills Town Centre is located nearby. Looking to purchase a home in Elbow Valley? Let our Elbow Valley real estate team guide you through the sale of your current residence or purchase your next Elbow Valley property. 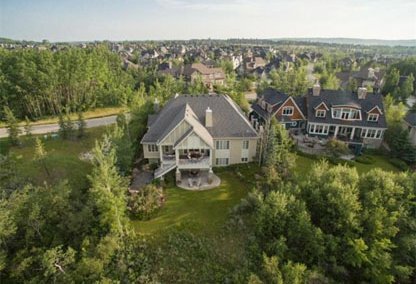 As local real estate agents, we're well-versed in the unique market dynamics of Elbow Valley real estate. Contact Justin Havre at RE/MAX First to learn more about representation for buyers and sellers in Elbow Valley. View our CMA page to receive an Elbow Valley home evaluation within moments.